Way back in the day, I started this website as a place I could keep always-accessible notes for myself about Polaroid cameras. 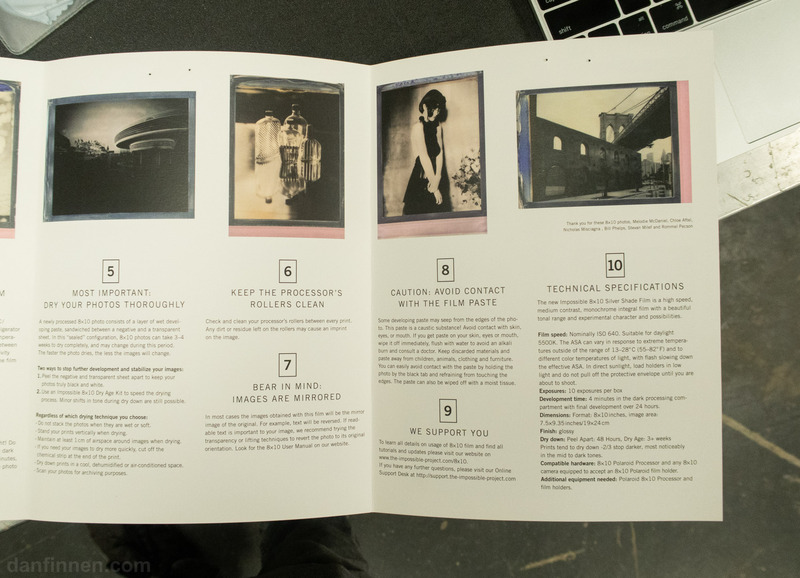 In that grand tradition, this guide is primarily a reminder for myself, as I have a large format Polaroid shoot coming up this fall. As a result, it’s not quite as thorough and authoritative as my other guides at this point. 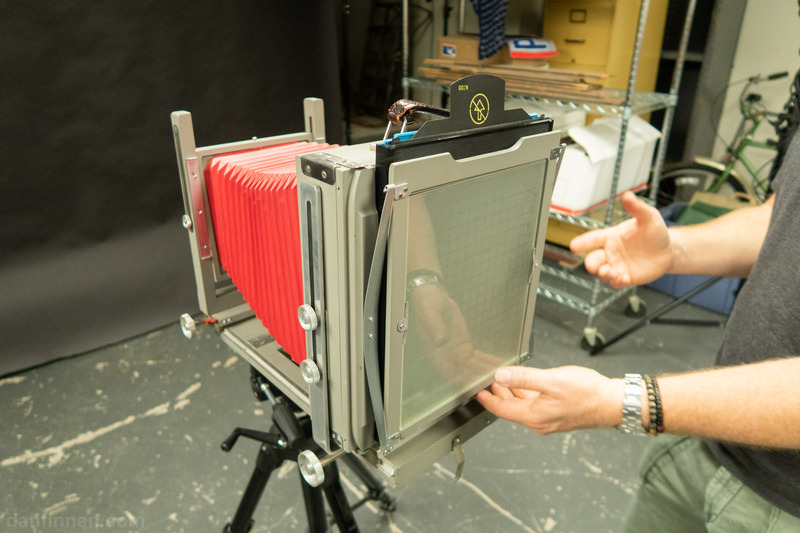 So with those caveats, let’s jump in on how to shoot large format Polaroid Originals 8×10! 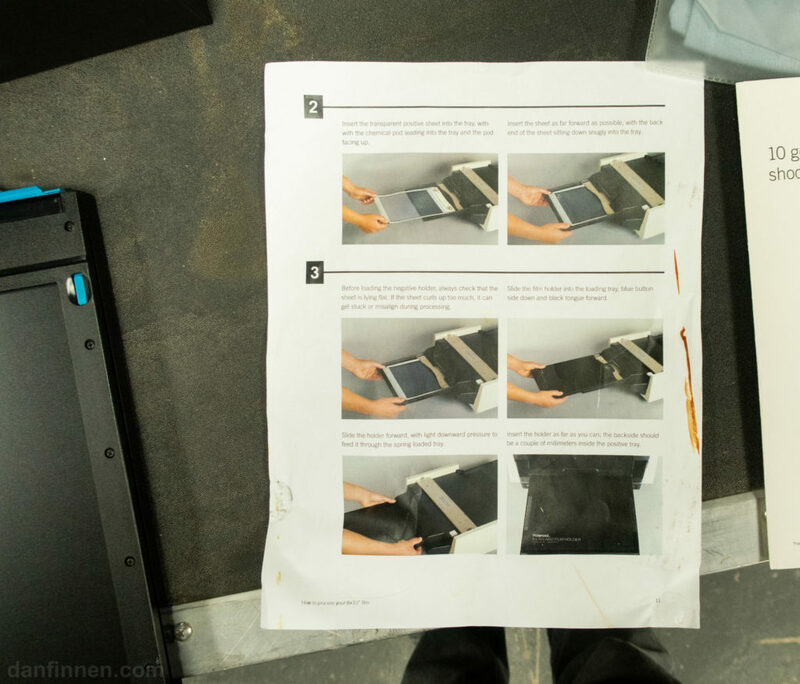 Large format cartridges require some assembly before shooting. 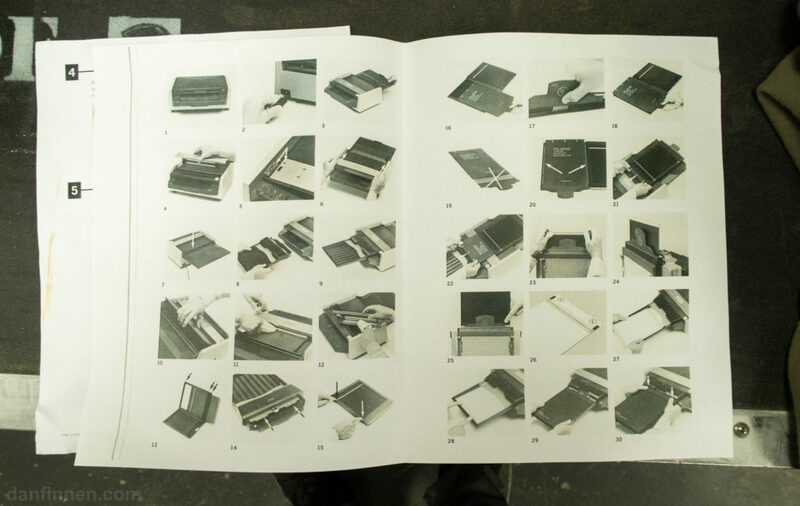 One is essentially constructing a giant version of the traditional Polaroid cartridge, one picture at a time. 1. 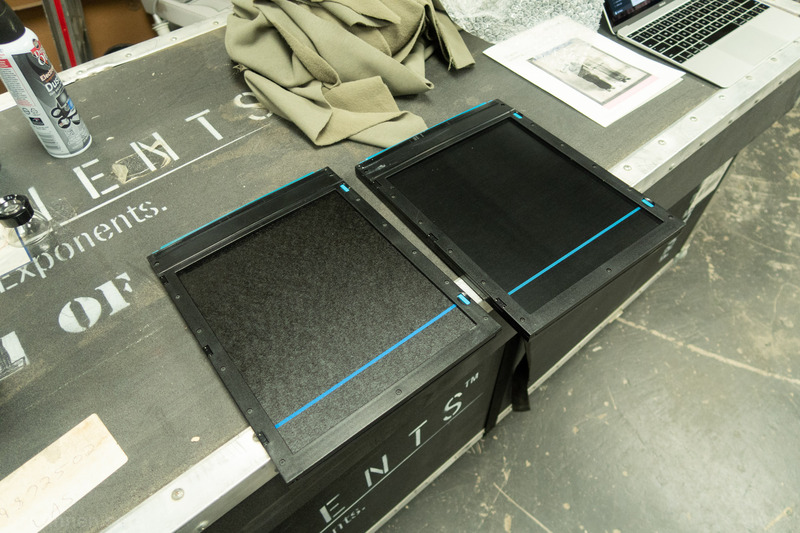 Make sure film has been room temperature for several hours before shooting. Two empty cartridges. 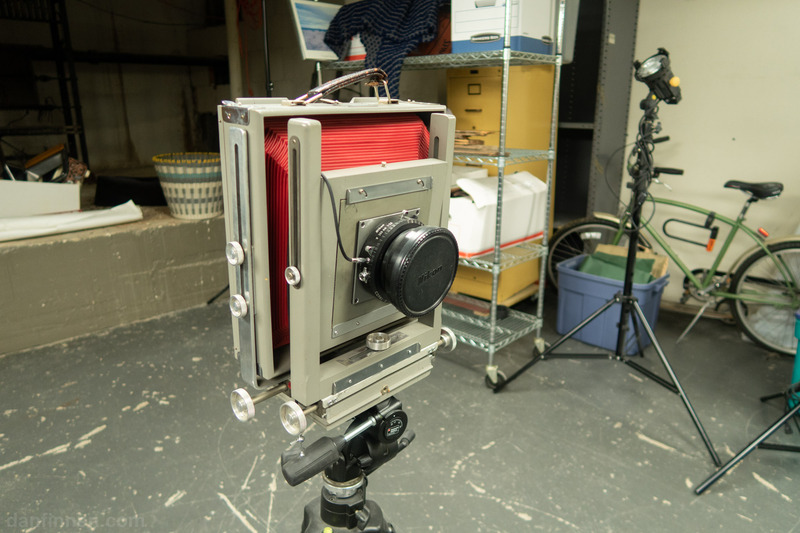 Note to those collecting gear to shoot their own 8×10: these are not included with the film packs sold by Polaroid Originals. Slide in film this way before closing cartridge. 3. Slide in film, make sure lip locks in at the top. Don’t pull too hard or film will be exposed. 4. Close cartridge, make sure it’s flat. 5. Pull out bottom paper lip. May take some force. 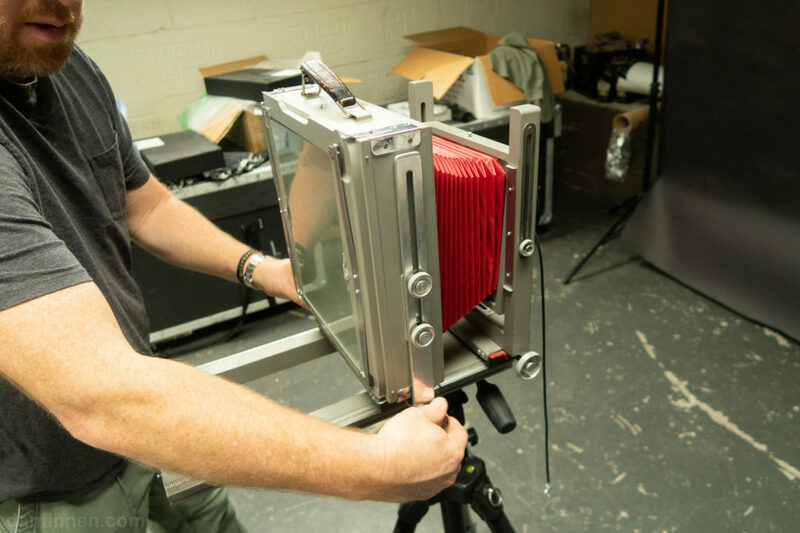 If you’re unfamiliar with large format, you focus on many cameras by adjusting the depth of the bellows using the side knobs, not by turning a ring on the lens itself. 2. Open aperture of the lens. 3. 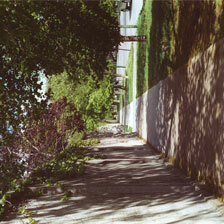 Use a light meter to set aperture, shutter speed. Polaroid Originals color film is 640 ISO/ASA speed. 4. Compose and focus image. You’ll need to use the hood in order to see through the back. You can use a magnifying glass to make sure focus is correct. Keep in mind that just because one part of the image is in focus, that another may not be. 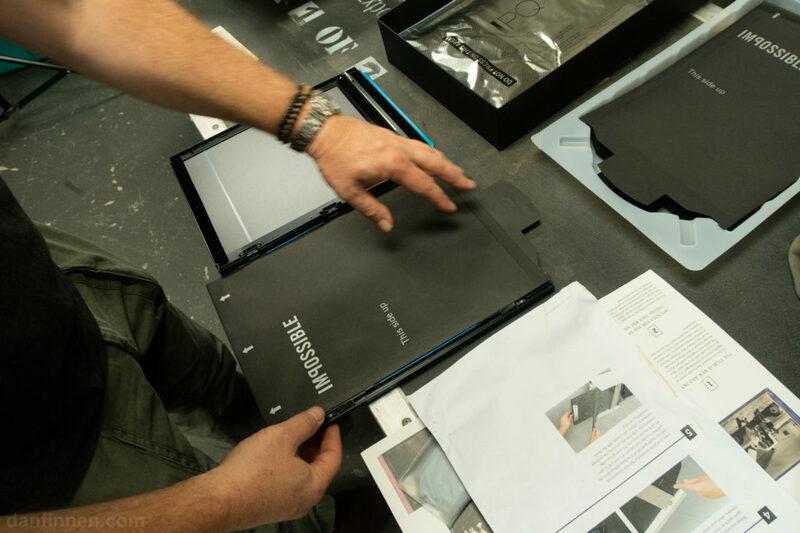 Large format is much more precise than other formats like 35mm. Make sure subject doesn’t move at all after everything is set. 5. Close aperture, trigger red thing on lens. Only place the film in after you’ve composed your image and closed the lens, as you will no longer be able to see through the viewfinder once the film is in place. The blue line on top of the cartridge is the darkslide. 6. Insert prepped film cartridge in back. Another view of the film cartridge once inserted. 7. Pull out darkslide up to the line. Do not remove entirely. Make sure lens is closed before doing any of this! 9. Push darkslide back into place. 10. Remove film from holder. 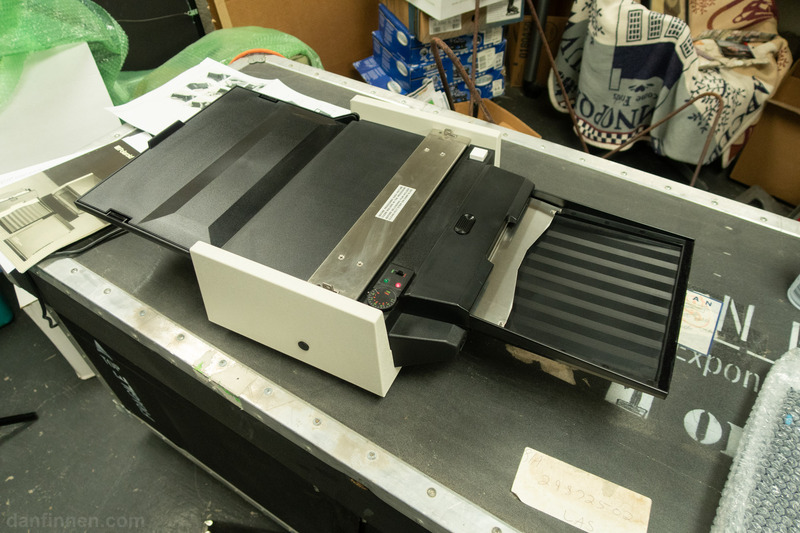 A normal Polaroid camera has rollers built right into it, but large format requires a separate machine to activate chemicals through pressure. The developer/roller machine thing. Place the film in on the tray on the right side of this image. 1. First, put in transparency, pod first, facing up. The silver side faces down. 2. Place cartridge over it, back up, arrow lip thing facing in towards the rollers. 3. Make sure it’s all snug and really in there. 4. Set timer to 4 minutes. This just alerts you, it doesn’t really do anything. 5. Hit white button. It works quickly. Just need to hit it, not hold it down. You’ll be able to tell if the image went through successfully, as if the transparency is still in the feed area, it didn’t work. 7. 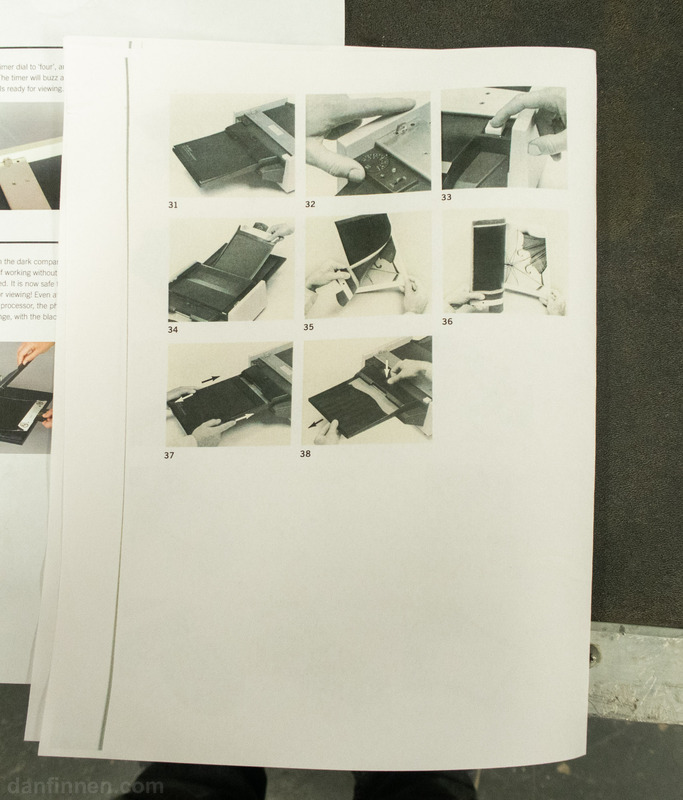 Remove picture, place somewhere to dry. Try to keep it in a flat, dry place. Old boxes of 8×10 Polaroid film are a good way to store images. This film has a tendency to leak paste everywhere. 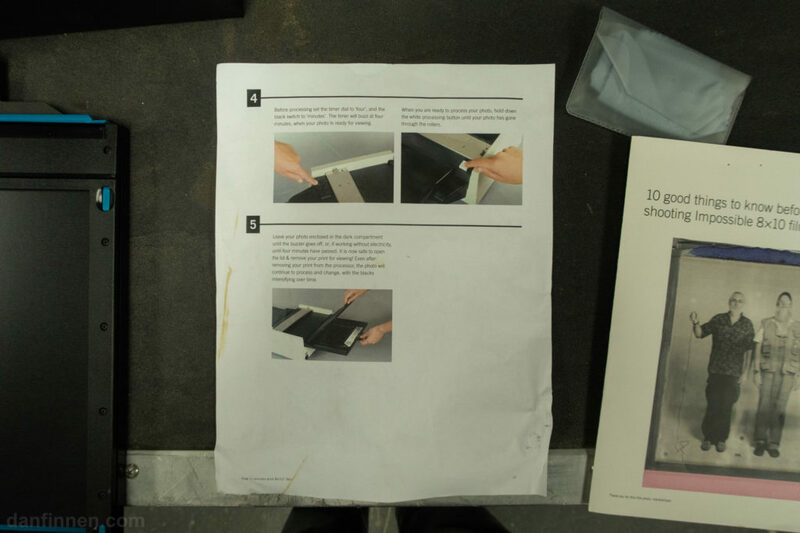 Make sure to clean up the machine, rollers, and cartridge before moving on to the next picture. It’s easiest to clean while it is still wet. Windex seems to be more effective than water when combined with paper towels. The paste that leaks from these images is toxic, so be careful with it. If any gets on your skin, be sure to wash it off quickly. 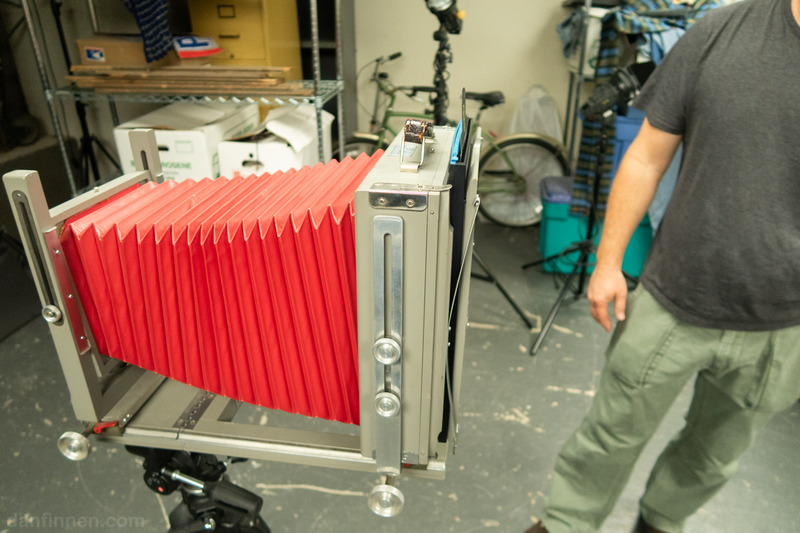 Thanks Roy Endsley for letting me use his 8×10 gear and teaching me how this all works! Roy does great portraits all over Chicago with his large format Polaroid gear. 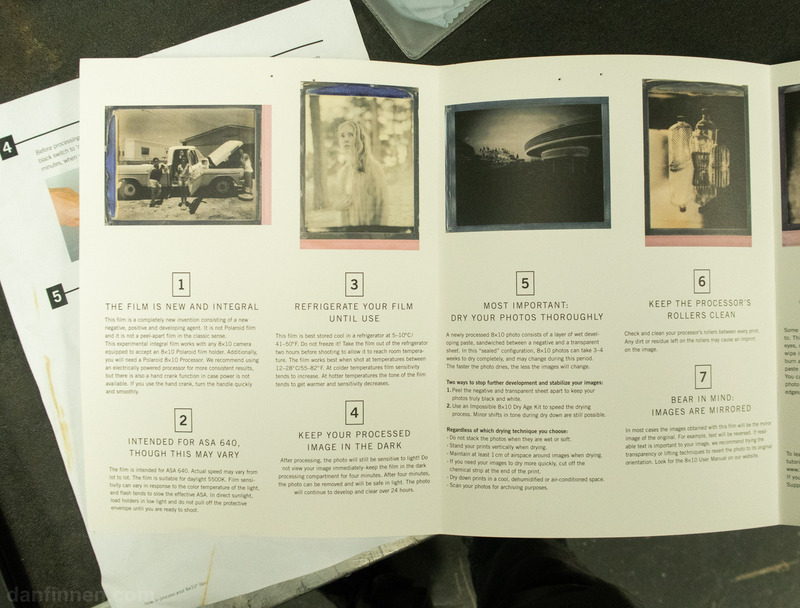 Below are pictures of reference materials from vintage Polaroid packs of 8×10 and instructions from the Impossible Project.